Bush variety, 55 days. 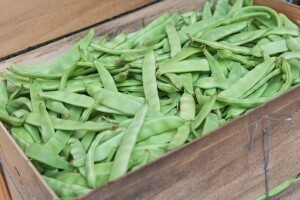 This is an improved Romano, bush type, green bean that produces loads of 6” to 7” long flat pods that are very flavorful. Delicious stir fried in Indian green bean dishes.